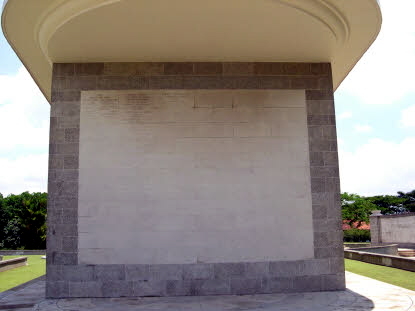 Over 24,000 names of those with no known grave are recorded on the Singapore Memorial. 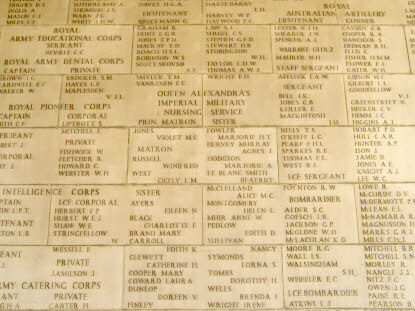 Panels of names on the Memorial. Two panels from the Memorial walls, each with the name of a Victoria Cross Holder. 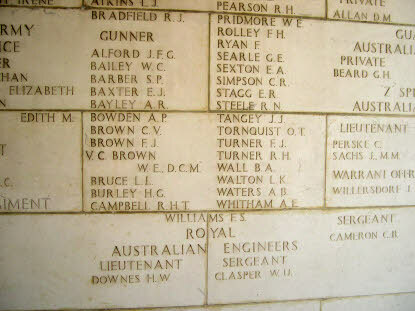 ABOVE LEFT: Column 115: Walter Brown was a Corporal with the Australian Army serving at Villers-Bretonneux in France when he was awarded a Victoria Cross for the single-handed capture of a machine gun post on 6th July 1918. He was serving as a Corporal with the Australian Army in singapore when he was last seen, carrying grenades, heading towards the Japanese forces. ABOVE RIGHT: Column 445: Fl. Lt James Nicolson was a 23 years old Flight Lieutenant when he was awarded the Victoria Cross. This was awarded for an aerial combat on 16th August 1940 near Southampton on the south coast of England. 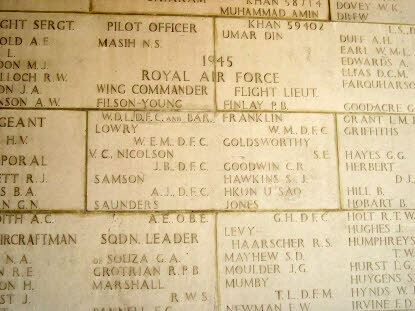 He was killed in on 2 May 1945 when a 355 Sqn Liberator in which he was an observer, crashed into the Bay of Bengal. His body was not recovered. 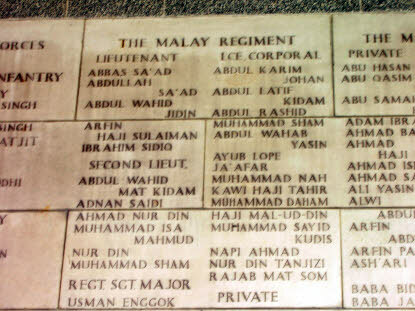 ABOVE LEFT: Column 385: Lt. Adnan Saidi, The Malay Regiment. One of the heroes of the valiant stand of the Malay Regiment on Pasir Panjang Ridge. ABOVE RIGHT: Column 144: Many nurses gave their lives in the far east. Of these a large number have no known grave. 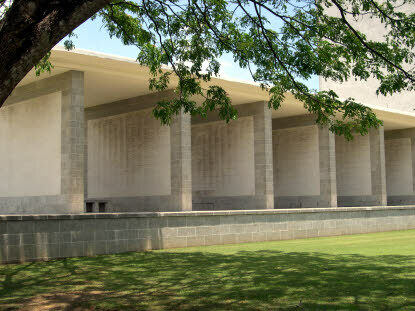 There names are inscribed on the walls of the Singapore Memorial.